← Should women vote for women? VIDA blog’s Australian Women Writers Challenge book review series begins with Deb Lee-Talbot’s analysis of a book about how the Red Cross became as a significant Australian institution. 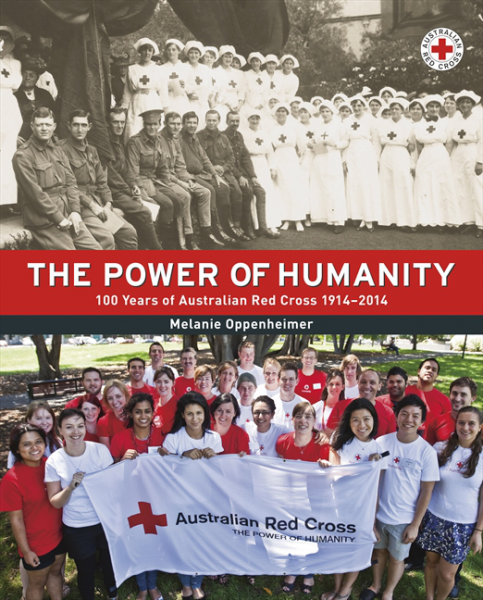 Melanie Oppenheimer, The Power of Humanity: 100 Years of Australian Red Cross 1914-2014 (Sydney: Sydney South, NSW HarperCollins, 2014). RRP $59.99. ISBN 9780732294854 (hardback). 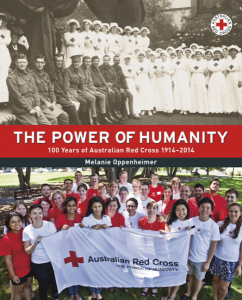 Having listened to an episode of Stuff You Missed in History Class concerning Henry Dunant and the Red Cross, I was pleased to come across Melanie Oppenheimer’s The Power of Humanity: 100 Years of Australian Red Cross 1914-2014. Commissioned to write a history to celebrate its centenary in 2014, Oppenheimer was granted extensive access to its archives – the Australian Red Cross Heritage Collection. This research was then supplemented with personal interviews, diaries, photographs and public records. Accordingly, The Power of Humanity provides a complex and lengthy history of this significant humanitarian organisation. Professor Melanie Oppenheimer is a historian and Dean of the School of History and International Studies at Flinders University. 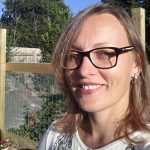 Her previous work is concerned with voluntary organisations, gender and war history. Her career interest in Australian volunteerism and the Red Cross began when Oppenheimer located her grandmother’s World War II letters, a diary and clothing (297). Oppenheimer’s subsequent Ph.D. thesis at Macquarie University focused on civilian volunteering during World War II. Oppenhiemer has also written histories concerning Red Cross VAs (1999) and Women and War (2004) and was consultant for the ABC World War II documentary Girls’ Own War Stories (2011). These interests have clearly influenced The Power of Humanity. Readers follow a narrative detailing the volunteer organisation’s inception within the Geneva Convention (1864), to Lady Helen Munro Ferguson forming the Australian branch (1914), and through to the formation of a particularly Australian volunteering institution which responds to international and local disaster events and social welfare situations. World War I Red Cross poster designed by Albert Herter, 1917. Willard and Dorothy Straight Collection, LC-USZC4-8369. Image via the Library of Congress Prints and Photographs Division. Oppenheimer initially qualifies the study by describing it not as the history but a history of the Australian Red Cross (3). This is an important statement, for as the narrative progresses, it becomes apparent that this is just one of many potential representations of Australian Red Cross. Oppenheimer offers readers a particular insight into an immense and complex organisation, one which functions at local, state, national and international levels. In an effort draw together these elements, Oppenheimer utilises chronological order to create a book for general as well as academic audiences. Oppenheimer ensures her written narrative is linked closely with photographs sourced from Australian Red Cross and personal collections. Ranging from official propaganda, designed to increase membership numbers, to personal images illustrating patients and carers within convalescent homes just after the Great War, the many photographs – on almost every page – work to humanise the organisation’s history. The inclusion of so much visual material conveys a sense of the particular time and place in which staff and volunteers of the Red Cross existed. However, as the text progressed, there were more ‘official’ photographs included than the more candid and personal images from earlier chapters. One of the book’s most significant revelations illustrates how women were – and continue to be – active and significant contributors to the Australian Red Cross. Oppenheimer uses The Power of Humanity to highlight the women who were instrumental to the organisation. During the early twentieth century, Oppenheimer explains, the Australian Red Cross provided women the means to counteract exclusionary cultural norms and become involved in the war effort. It quickly becomes clear, however, that such involvement required women to partake in traditional female duties such as sewing, knitting, and nursing. 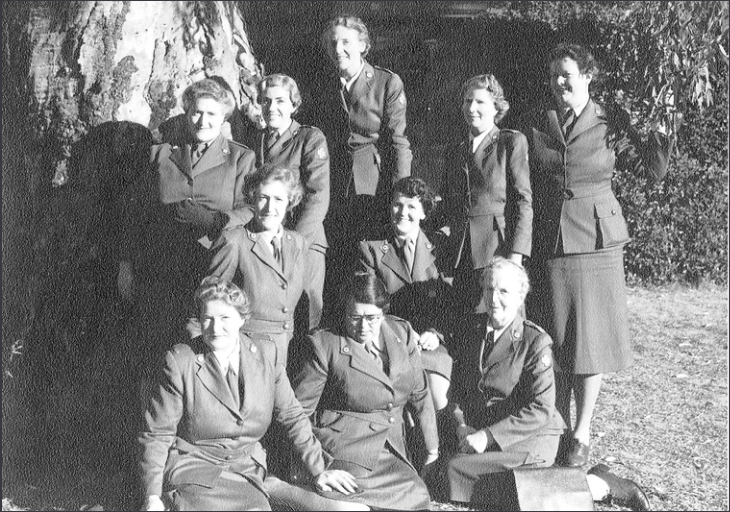 Moreover, despite being a ‘women’s organisation’ with predominately female membership, ‘women have rarely been a part of decision-making processes of the organisation’; rather, Oppenheimer asserts, the history of the Australian Red Cross reveals that it was ‘a women’s organisation run by men’ (84). The women who feature prominently in The Power of Humanity include Philadelphia Robertson, who held central and Victorian office roles, founder of the Junior Red Cross Eleanor MacKinnon, founding honorary director of the blood transfusion service Dr Lucy Bryce, and various Voluntary Aid Detachment (VAD) personnel. 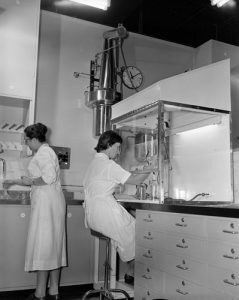 The shifting role of women within the organisation, especially as they entered the workforce in greater numbers and received paid work in the 1960s, is also examined, as is the impact of such social change on the Australian Red Cross, if all too briefly. A group of Unley officers at Mt. Barker Rest Home: Mrs Eaton, Mrs. Doe, Edna Morris, 1941. SRG 770/40/284. Image via the State Library of South Australia. [R]eport to sister in charge … admit patient with nurse … collect all belongings … go with doctor to operating theatre and watch deflation of lad’s lung … to the dark room, see into a girl’s lung … and a man’s stomach … roll bandages for sister … help serve dinner … help nurse prepare patient for operation on trachea … help with casualty burns, car accident … cut off clothing … make dressings … make orange drinks, jellies. Admittedly, the emotional element is lacking in Monk’s account, but the passage nonetheless provided a more detailed account than was available from the archive alone. Therefore, I appreciate Oppenheimer’s efforts to extend upon existing Australian Red Cross archival material. Australian Red Cross Society, Blood Bank Laboratory, Victoria, 1959. Image Via Museums Victoria. Significant attention is given the tensions and scandals within Australian Red Cross. While such a focus steps away from the contributions of individuals to the organisation, it is nonetheless a crucial element of its history. Oppenheimer explains how the particular ‘federalist nature of Australian political and economic structures had been replicated within Australian Red Cross when it was first established and reaffirmed in the 1941 royal charter’ (122). But this posed dilemmas that would repeatedly continue to surface, even in the present. Such issues reached a peak during and immediately after the problematic 2002 Bali Appeal following the Bali bombings when some sectors of the Australian media and wider community argued that the Australian Red Cross had ‘misled’ the Australian public in regards to the $14.3 million gathered for victims. Recognising such organisational infighting and ‘scandal’ provides Oppenheimer opportunities to discuss the wider social and cultural changes which subsequently influenced how the Red Cross engaged with the Australian community. This complex thread, which exists from the beginning to the end of the book, is finally summarised by Oppenheimer as not resulting from changes to staff, members or volunteers, but rather as ‘the professionalisation of the entire non-profit sector, the rise of managerialism, and an increasingly close association with governments’ (296). The Power of Humanity is an outstanding book if simply for its ability to highlight the role of women and volunteerism, a history otherwise largely forgotten in contemporary Australia. Oppenheimer’s book is of particular interest to readers concerned with historic gender roles and the history of secular volunteerism in Australia. Unexpectedly, this book also challenged my typical cynicism for ‘mass fundraising’ organisations. It enhances our understanding of the value of an organisation which, even today, quietly adorns our community streets with opportunity shops and ‘Blood Bank’ banners. Deb Lee-Talbot is completing a Bachelor of Arts (sociology) at Deakin University. Deb is currently completing an internship at Melbourne Museum, researching the 1883 New Guinea expedition of The Argus. Her primary research interests are religion, gender, Australian and Pacific history. This entry was posted in AWW book reviews, Book review. Bookmark the permalink.